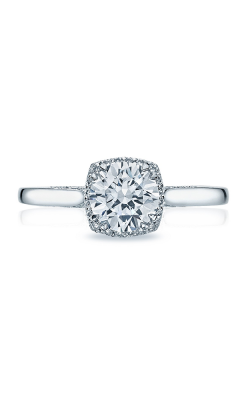 “Handcrafted in California.” What does this mean for a brand like Tacori? 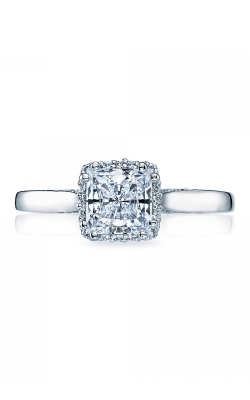 It’s a promise of quality that pairs old-world craftsmanship with pure Los Angeles style. 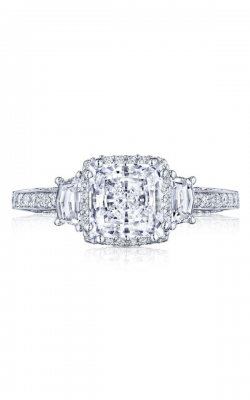 As one of the West Coast's exclusive Tacori Diamond Partners, BARONS Jewelers proudly brings the Dantela collection to its customers. 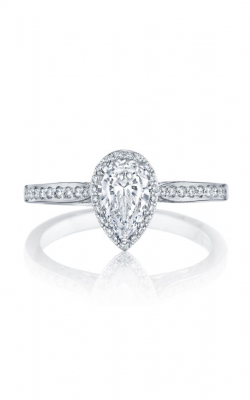 This collection features engagement rings designed to emphasize the radiance of the center diamond: The diamonds around the center stone are scientifically engineered to make your diamond appear 30 percent larger; in addition, a lacy weave of 18k gold and side diamonds is placed under the crown of your Dantela ring. 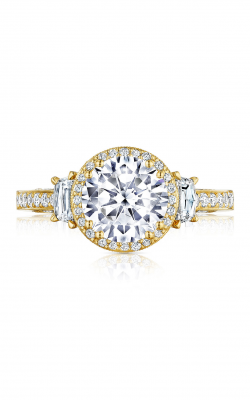 Tacori had the foresight to design its Dantela collection using 18k white, rose, and yellow gold, allowing brides-to-be to pick the color of gold that speaks to them. 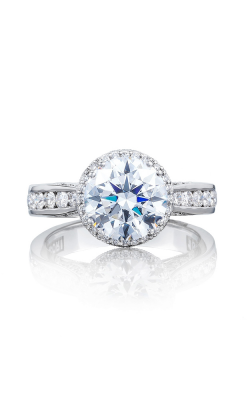 The Dantela collection’s fine engagement rings can be found in a myriad of different types, ranging from luminescent halos, to diamond-studded sidestone rings, to stately three-stone rings. 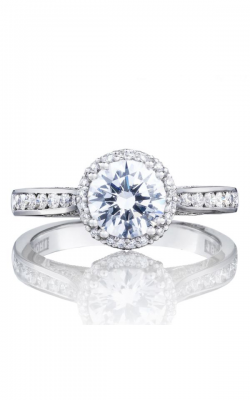 While maintaining the traits that make Dantela collection rings “Dantela,” Tacori additionally designed their rings around many different cuts of diamond. 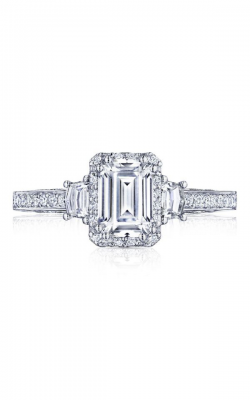 From round-cut diamonds to emerald-cut center stones, you’ll always find the right Dantela collection ring at BARONS Jewelers. 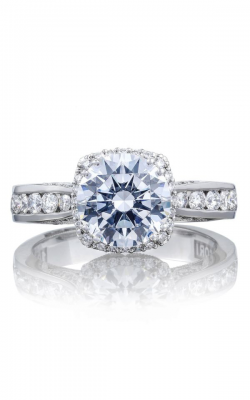 What else sets the Tacori Dantela collection apart? 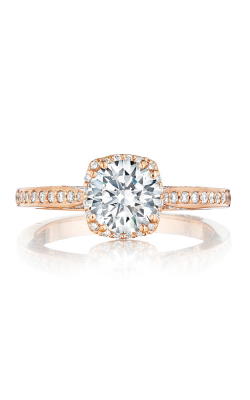 The lover of vintage elegance will find plenty to adore in this collection. 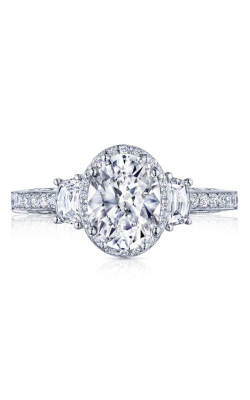 The milgrain beadwork adds a beautiful accent to the rings offered, the lace-style metalwork speaks to an era of handcrafted treasures, and a treasure-trove of pave-set side diamonds only serves to make the pieces that much more stunning. 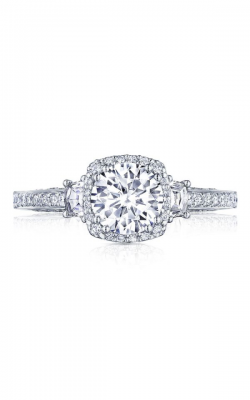 As a little touch that sets Tacori rings apart, you can be assured that each Dantela collection engagement ring features a crescent design in the band with lacework and diamonds, as a symbol of Tacori’s detailed artistry. 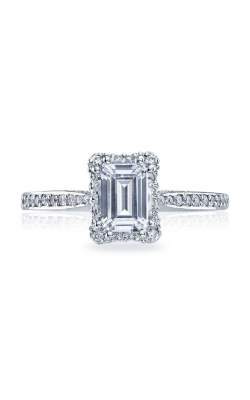 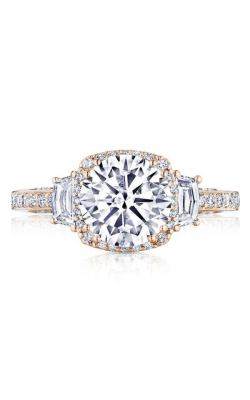 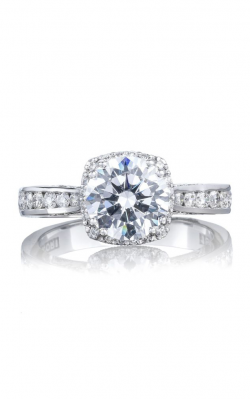 Why Shop for the Tacori Dantela Collection at BARONS Jewelers? 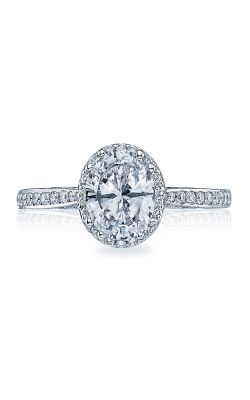 You can trust that BARONS Jewelers is always prepared to help you find the Tacori engagement ring for you. 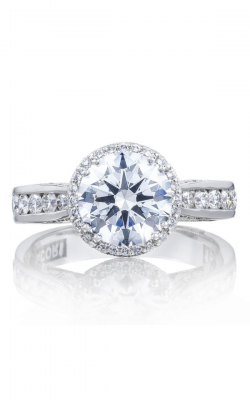 If you’d like to find a wedding band to pair with your engagement ring, BARONS Jewelers is also proud to offer the people of the San Francisco Bay Area Tacori wedding bands. 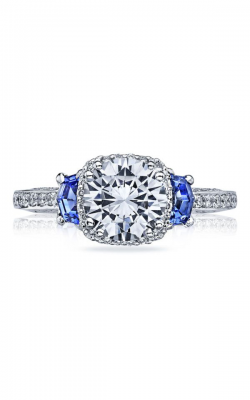 Additionally, BARONS Jewelers has the right jewelry for any occasion, and our selection of fashion jewelry is full of the color and joie de vivre that will make you the talk of any event. For those who need services, we offer jewelry repair & cleaning by on-site goldsmiths, professional appraisals, watch repair, and flexible financing options. 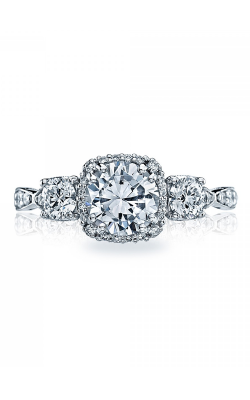 Relax, enjoy, and let your experience begin at BARONS Jewelers.